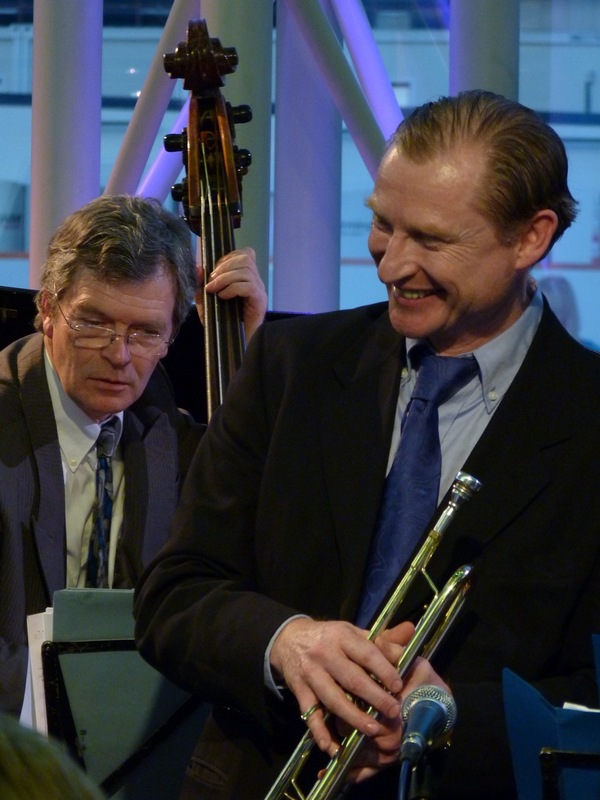 If you like jazz that swings, with recognisable tunes, melodic solos and exciting improvisation — the thrill of the jam session and the jousting between soloists — then the Jazz Courier Pigeons is for you. Add to that the witty introductions and repartee between the members of this extraordinarily clever and accomplished band and you have an evening you really shouldn’t miss. In a typical set they pay tribute to the melodies sung on screen by Frank Sinatra or Peggy Lee, the great trumpet solos of Louis Armstrong or Clifford Brown, and the rhapsodic saxophone repertoire of Coleman Hawkins and Ben Webster. In addition there are the compositions of Irving Berlin, Jimmy Van Heusen, Jimmy McHugh and Dorothy Fields, and Duke Ellington. The band features the vibrant tenor saxophone of the Swiss-born virtuoso Luca Stoll, the mellow trumpet of Ian Smith, the energetic double bass of BBC Radio 3’s Alyn Shipton and romantic swinging guitar of Jez Cooke. Expect to hear well-known songs like “Sunny Side of the Street” mingled with jazz classics like Duke Ellington’s “Perdido” and the split-second timing of intricate jazz riffs such as “Hollywood Stampede”. And there’ll be romantic ballads as well, from nightingales singing in Berkeley Square to foggy days in London town.